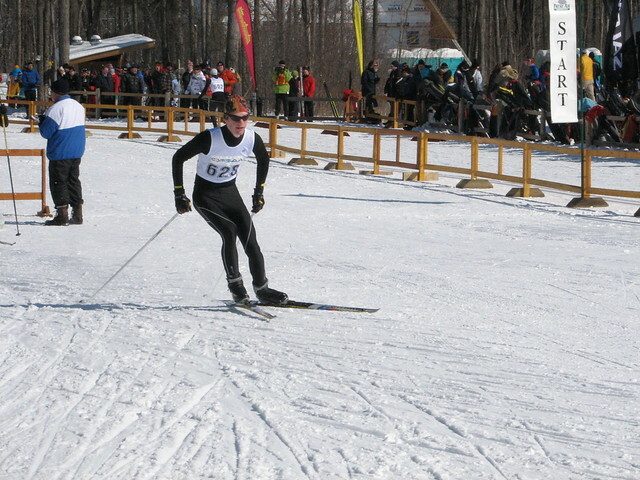 Kjell Schmidt leaves the gates at the OFSAA Nordic Ski championship. Northwestern Ontario skiers competed in the OFSAA provincial championships this Thursday at the Nakkertok Ski Area in Ottawa. With 106 schools and almost 650 high school athletes skiing courses from 3km to 7.5km, Kenora, Dryden and Atikokan racers excelled. Representing Dryden High School, Kjell Schmidt placed 64th and Garrett Lindquist placed 73rd in the senior boys division, while Adrian Lizzi placed 127th and Eric Schmidt placed 144th in the Junior Boys. Friday will see the team sprint relay races wrap up the event.